"I followed my heart and it led me into the fridge." When Bad is Really, REALLY Good! One of my favorite meals of the day is breakfast! 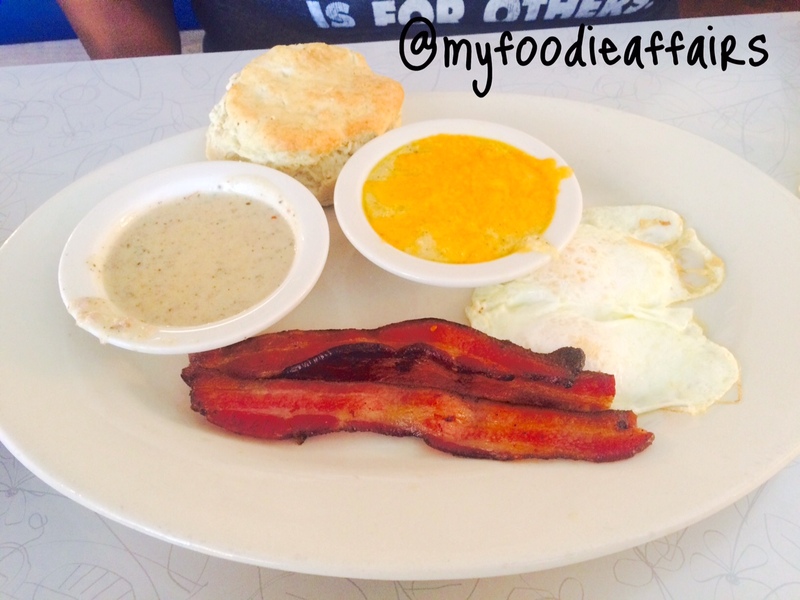 Big Bad Breakfast has been on my “foodie radar” since their arrival in the Magic City. I tried to wait until the “newness” of this place (which results in large crowds and long wait times) sizzled, but since that isn’t going to happen any time soon, I decided to go for it one Saturday morning. Luckily, my breakfast companion arrived early and managed to nail us a booth inside of the restaurant. I love the “diner feel” of this popular breakfast spot that also serves lunch on the menu. We started out with “breakfast margaritas”! 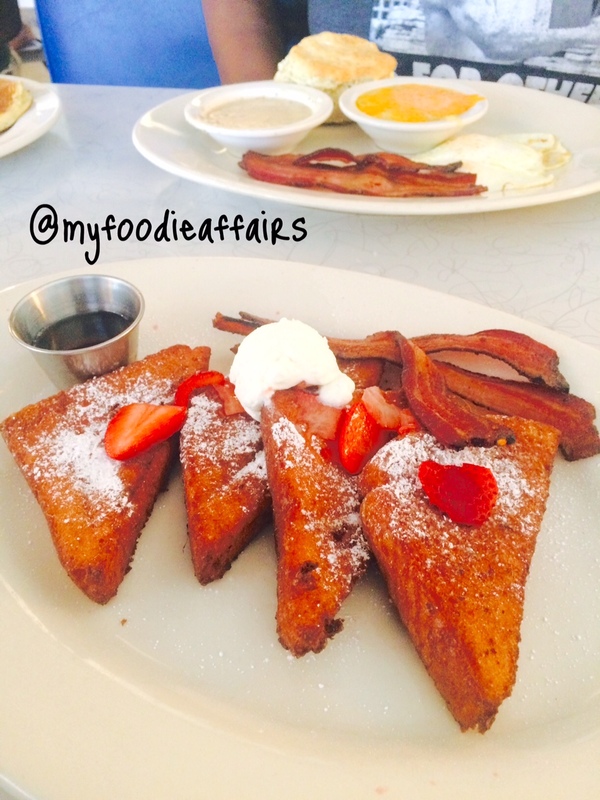 The Pain Perdue (French Toast) – Brandy spiked French Toast with powdered sugar, whipped cream, and fresh strawberries. DELISH!!!!!! My breakfast buddy ordered the “Big Bad Breakfast Plate” This dish truly lives up to it’s name because it is A LOT of food! She was kind enough to let me sample her dish and just let me say: MM MM GOOD!!!!!! I haven’t had biscuits so soft and perfect since consuming home cooked meals at my grandmother’s house! And to whoever made those grits, I will offer up my first unborn child (no I’m not pregnant) to have them over and over again! These grits were cooked to perfection with a hint of garlic flavor (I LOVE GARLIC!). Big Bad Breakfast provided an excellent first experience, and I can almost guarantee it won’t be my last visit or excellent foodie experience at BBB! Have you tried BBB yet? Tell me about it in the comments! 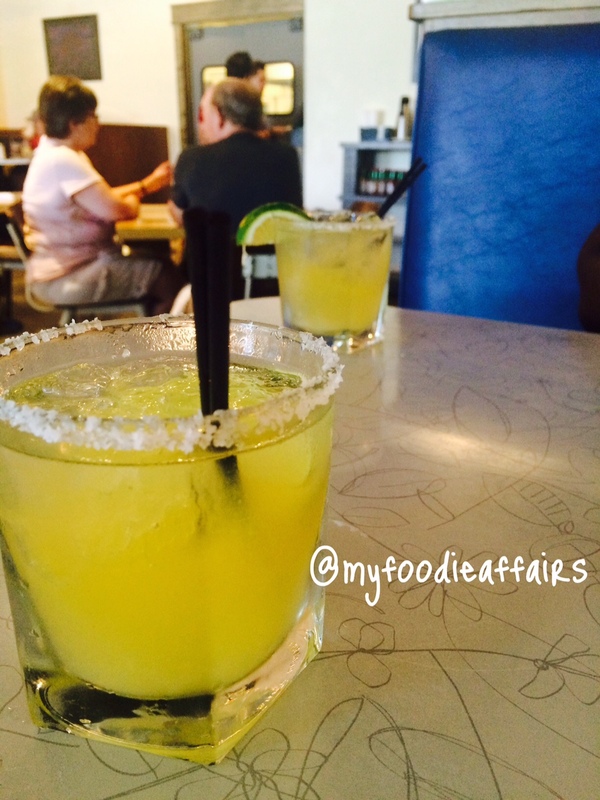 Next Post Birmingham’s Best Bites: A Love Story of Food & My Favorite City…. Paulina on Do you know what today is??? What I’m Eating Wednesday – Feeling Fruity?! Do you know what today is?? ?